Punarnava, Saliparni, Prasniparni, Bhadrika, Bruhati, Kasmarya, Vilwa, Patala, Durrdukam, Agnimantha, Gokshura, Jeevanthi, Aswagandha, Erandamoola, Satavari, Darbha, Kasa, Ikshu, Hapusham, Magadhika, Pippalimoola, Draksha, Nagaram, Jeeraka. It is useful in hernia, gas troubles, menorrhagia, diseases of ovaries and uterus. 5 ml – 15 ml to be taken with 4 times of Boiled & Cooked water twice a day. Anthemis nobilis ext. (Gule Babuna) – 250 mg. It has anti-inflammatory & muscle relaxant properties. It is helpful in anxiety, arthritis, belching, bloating, bronchitis, common cold, cough, flu, gastritis, heartburn, insomnia, headache, gout, lack of appetite, dyspepsia, nervous debility, rheumatism, sciatica, stomachache, ulcers. Badiyan, Bekh Badiyan, Bekh Kasni, Tukhm Kasni, Tukhm Khayarain, Parisiaoshan, Gul-e-Gafis, Tukhm Karafs, Gul-e-Nilofar, Rewand Chini, Bekh Izkhar Makki, Mako Khushak, Brinjasaf, Afsanteen Romi, Naushadar, Hiri Kasees, Gul-e-Surkh, Nabat Safaid. Helpful in curing hepatitis, gastritis and swelling of body organs. 10 – 25 ml to be taken with water twice a day. Ajmod, Asaroon, Balcharr, Darchini, Elaichi Khurd, Gule Ghafis, Ude Balsan, Izkhar Maki, Lak Maghsool, Laung, Manjeeth, Mastagi Roomi, Qust Shireen, Tukhme Kasni, Tukhme Kasoos, Udehindi, Zarawind, Tabasheer, Gule Surkh, Qand Safaid, Zafrran. 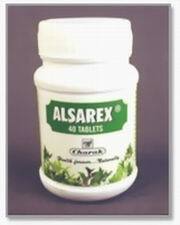 Indications: It is useful in general weakness, loss of appetite, liver and spleen enlargement, jaundice, anorexia, hepatitis, gastritis, cirrhosis of the liver and sluggish liver.